Note: Temperatures will normally fluctuate over the course of the day. The following may increase body temperature: time of day (pm), food intake, muscular activity, approaching estrus, during gestation, and high external temperatures. The following may decrease body temperature: intake of large quantities of cool fluids, time of day (am), and low atmospheric temperature. First Estrus Cycle: Appears between 4-12 months of age, lasts 2-19 days, occur every 4-30 days. Neutering or spaying of your pet is recommended at 6 months of age unless you are planning to breed. If at all possible, it is best to have this surgery done BEFORE your pet becomes reproductively active- before the first heat cycle. The information on this page is a general guideline. 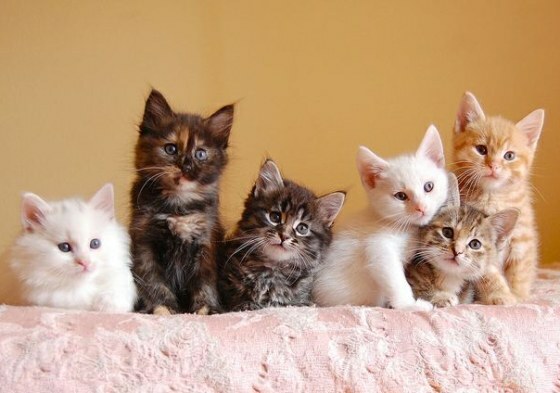 If at any time you have any questions concerning your cat or kitten, please feel free to contact us.